Hey dolls! Hope you are enjoying the weekend. 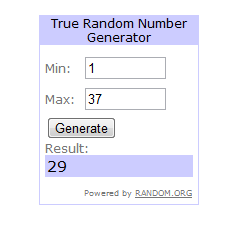 The winner of SkinCareRx giveaway is RedRose. Heartiest congratulations to the winner. I request the winner to contact me with her E mail id so the amazing people at SkinCareRx can contact you. And if you didn't win, no worries, there is another giveaway coming soon. So stay tuned. Hopefully I will be a winner of the skincarerx giveaways.